Opponents of nuclear power have a standard repertoire of arguments that they habitually make against it. Many people, including myself have reviewed these arguments and pointed to both logical and factual flaws in them. I believe that people wishing to assess the debate ought to think things through for themselves. Because the production of nuclear weapons material is occurring only in countries that have developed civilian nuclear energy programs, the risk of a limited nuclear exchange between countries or the detonation of a nuclear device by terrorists has increased due to the dissemination of nuclear energy facilities worldwide. As such, it is a valid exercise to estimate the potential number of immediate deaths and carbon emissions due to the burning of buildings and infrastructure associated with the proliferation of nuclear energy facilities and the resulting proliferation of nuclear weapons. The number of deaths and carbon emissions, though, must be multiplied by a probability range of an exchange or explosion occurring to estimate the overall risk of nuclear energy proliferation. Although concern at the time of an explosion will be the deaths and not carbon emissions, policy makers today must weigh all the potential future risks of mortality and carbon emissions when comparing energy sources. Jacobson's argument is logically flawed. First, what is he claiming here? Is he claiming that knowledge of nuclear physics acquired in civilian settings causes the development of nuclear weapons? Would the publication of nuclear physics textbooks cause the acquisition of nuclear weapons? Would the publication of papers on nuclear physics in scientific journals or the reading of scientific papers on nuclear physics at a professional conference make a causal contribution to the development of nuclear weapons? There is little doubt that knowledge of nuclear physics is a necessary requirement in the development of nuclear weapons. Does Dr. Jacobson believe that knowledge of nuclear physics should be suppressed, that physics textbooks, professional papers by scientists, and speeches at scientific conferences should be censored? Probably not. Is it then the spread of nuclear technology that Dr. Jacobson objects too? Does he believe that the use of radiation or radioactive materials in medicine causes the spread of nuclear weapons? Probably not. It would appear then from the context, that Dr. Jacobson is arguing for a causal relationship between the development of civilian power reactors and nuclear weapons. As near as I can tell Dr. Jacobson's hypothesis is that the acquisition of power reactors is a necessary cause for the acquisition of nuclear weapons. But is there evidence that this is the case? Of the first five nuclear powers, four - the United States, the United Kingdom, the Soviet Union, and China - had no civilian power reactors at the time they exploded their first test nuclear device. Of other current and past nuclear powers, Israel and India developed their nuclear bomb programs using civilian research reactors that were not designed for power-producing purposes. North Korea based their nuclear program on a British reactor design that was primarily intended to produce plutonium for military purposes. There is no indication that North Korea intended to build reactors for civilian power purposes. South Africa successfully developed developed a Uranium enrichment technology during the 1970's. South Africa had no civilian power reactors at the time of its weapons development program. Pakistan and Iran developed their nuclear programs using stolen technology. Pakistan's first small civilian power reactor was under international control, and played no role in that country's nuclear weapons development. Of other current or past nuclear powers, only France had a civilian power reactor program prior to the development of its nuclear weapons. The production of nuclear weapons material is occurring only in countries that have developed civilian nuclear energy programs. As we have seen, in most nuclear armed countries the development of civilian power reactors occurred after the development of nuclear weapons, and thus cannot be a cause of weapons development. the risk of a limited nuclear exchange between countries or the detonation of a nuclear device by terrorists has increased due to the dissemination of nuclear energy facilities worldwide. Does this argument make the least amount of sense? Consider the following argument, "murder occurs in every country where dancing is permitted, therefore the world wide dissemination of dancing causes murder in countries where dancing occurs." This argument has the same underlying logic as Jacobson's argument. Jacobson might point out that murder might take place in countries where there is no dancing, but it can be pointed out in response that nuclear proliferation has taken place in South Africa and North Korea, countries where there were no civilian power industry. it is a valid exercise to estimate the potential number of immediate deaths and carbon emissions due to the burning of buildings and infrastructure associated with the proliferation of nuclear energy facilities and the resulting proliferation of nuclear weapons. It is clear then that Jacobson attributes both the proliferation of nuclear weapons, and probable future nuclear exchanges, to the "proliferation of nuclear energy facilities". We must ask why is this valid. It is certainly not because there is a demonstrated connection between the building of nuclear power facilities and the acquisition of nuclear weapons. Nor is there an overt connection between the building of nuclear energy facilities and nuclear weapons exchanges: there have been no nuclear exchanges despite the building of hundreds of nuclear energy facilities. Nor have we seen the use of nuclear weapons by terrorists, let alone a connection between the building of nuclear facilities and such use. Jacobson does not supply us with a theoretical argument for such a connection, and thus we must ask, how does he justify his far fetched contentions? Thus having arrived at this utterly absurd conclusion Dr. Jacobson then wishes to count the deaths and CO2 emissions from the supposed nuclear exchange as liabilities for nuclear power technology. 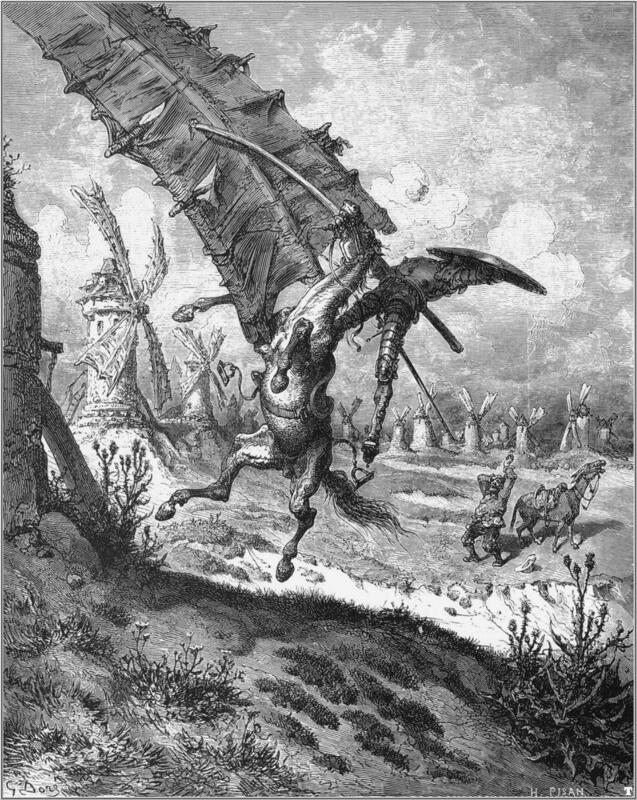 We could argue with a rationality that equals Jacobson, that injuries inflicted on elderly and deranged Spanish gentlemen, by windmills as they tilt with them, are liabilities to for the wind industry. We have to ask about Jacobson's reasoning, how can he say this? 1. Is he so dumb that he fails to see the fallacies in his reasoning? 2, Or is he so cynical that he believes that he can get away with a dishonest line of reasoning? 3. Or is he playing a practical joke on his readers? 4. Or is Jacobson simply insane? Whatever the case it is clear that Jacobson has weighed his assessment of energy sources by resorting to irrational means. Wow, I only knew Jacobson as the author of the theoretical wind potential paper. This... this is very sad. Brace yourself; he has an article upcoming in Scientific American. It's not available yet in full, except for subscribers. They do provide an attached paper, however, which SciAm suggests is an elaboration of the article. He seems to reiterate the claims here ("nuclear energy results in up to 25 times more carbon emissions than wind energy,") citing Sovacool and his own earlier work, which I presume is this trash you've been eviscerating.